Proudly serving our great town! Tyrney is the son of former Madisonville Town Marshal and Police Chief Leon "Spike" Tyrney. The new police chief worked a short time with the Madisonville department years ago before joining the Sheriff's Office, Pelloat said. In his 26 years with the Sheriff's Office, Tyrney served in various roles and eventually rose to the rank of captain, the mayor said. The new chief is a lifelong Madisonville resident. 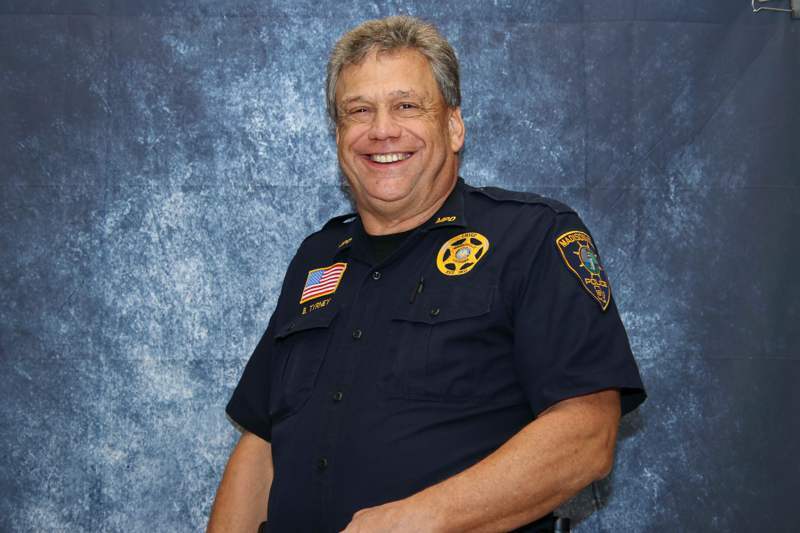 "He's got a wealth of knowledge and experience and he comes back to the police department ready to serve the citizens," Pelloat said Thursday. "It's very exciting for Barney and very exciting for the town."